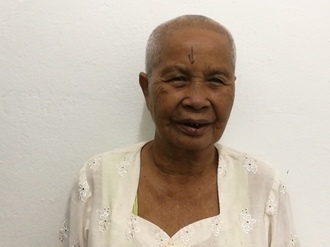 Chandrika joined Watsi on April 14th, 2015. 9 other people also joined Watsi on that day! Chandrika's most recent donation traveled 8,800 miles to support Simai, a teenager from Cambodia, to fund spinal surgery. Chandrika has funded healthcare for 47 patients in 10 countries. 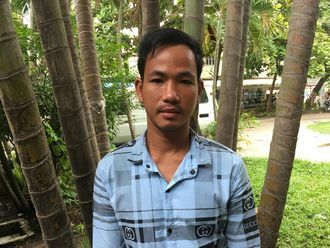 Sarum is a rice farmer from Cambodia. She has two daughters and two grandkids. She likes to listen to monks pray on the radio. A month ago, Sarum developed a cataract in each eye, causing her blurry vision, itchiness, clouded lenses, and photophobia. She has difficulty seeing things clearly, recognizing faces, and going anywhere outside. When Sarum learned about our medical partner, Children's Surgical Centre, she traveled for five hours seeking treatment. On January 9, doctors will perform a small incision cataract surgery and an intraocular lens implant in each eye. After recovery, she will be able to see clearly. Now, she needs help to fund this $398 procedure. She says, "I look forward to spending time with my grandchildren after surgery." Thue is a 40-year-old famer from Burma. Thue lives her husband, three sons, and one daughter. She and her husband work on their farm along with their eldest son. They also raise chicken and pigs, which they sometimes sell if the crops were not good. Two months ago, Thue started experiencing abdominal pain, and she could not sleep and eat well. She lost consciousness several times because of the pain. She visited to the hospital, and the doctor diagnosed her with a gallstone. 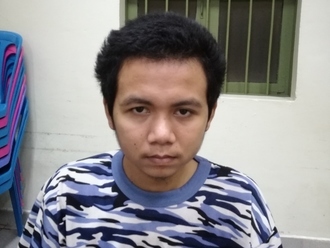 Thue has been advised to undergo a cholecystectomy, the surgical removal of the gallbladder. If left untreated, Thue's symptoms will continue to worsen and put her at risk for further health complications in the future. 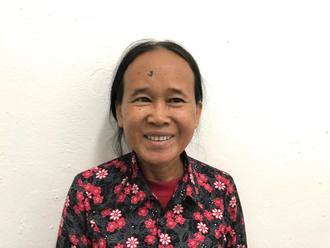 After seeking treatment through our medical partner, Burma Children Medical Fund (BCMF), Thue is scheduled to undergo her cholecystectomy on April 18. BCMF is requesting $1,500 to cover the total cost of Thue's procedure and care. Thue says, “After I recover, I want to look after my children again and take care of my household."